Website design – we’re amateurs and have built the site ourselves in WordPress. But we could use someone with some design flair who can help when things go wrong. Website content – if you have news items, photos of social enterprises in action or opinions that you want to share, we’d love to hear from to you. Media – we’d love to hear from you if you have skills in areas like graphic design, video and photography and can help us out with events. Event planning – we want to reach out to social enterprises across the country, but we have worked mostly in the greater Dublin area up to now. 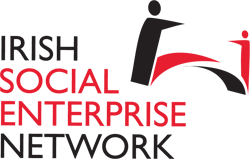 If you can help bring social enterprises together in your area, we’d like to help you organise activities and provide support to them.